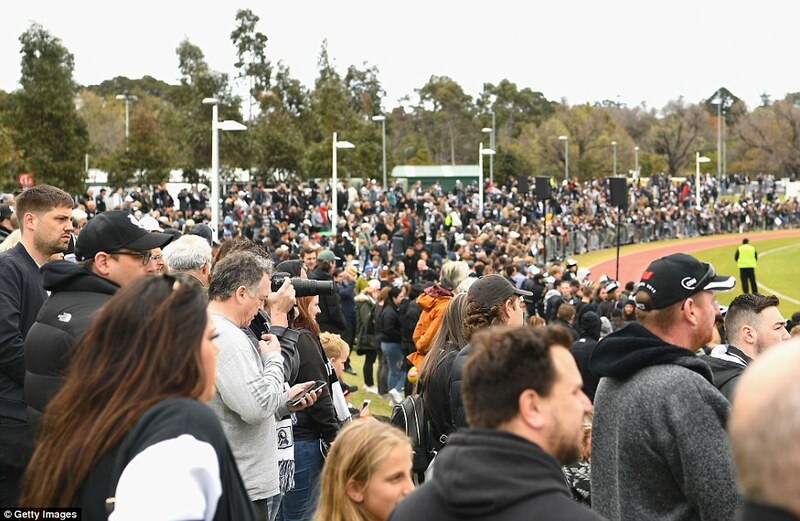 Thousands of eager Collingwood fans have packed into the Holden Centre at Olympic Park in Melbourne to watch the Magpies train ahead of the AFL Grand Final. 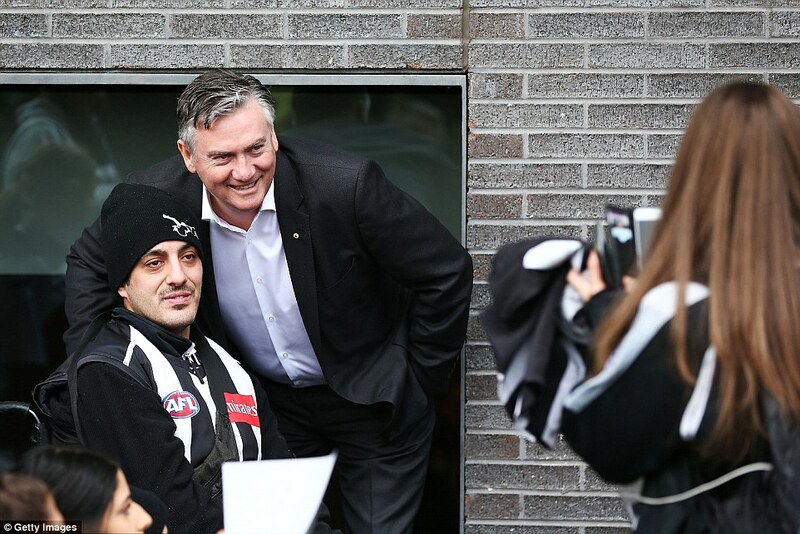 Collingwood will play the West Coast Eagles at the Melbourne Cricket Ground on Saturday in the season decider. 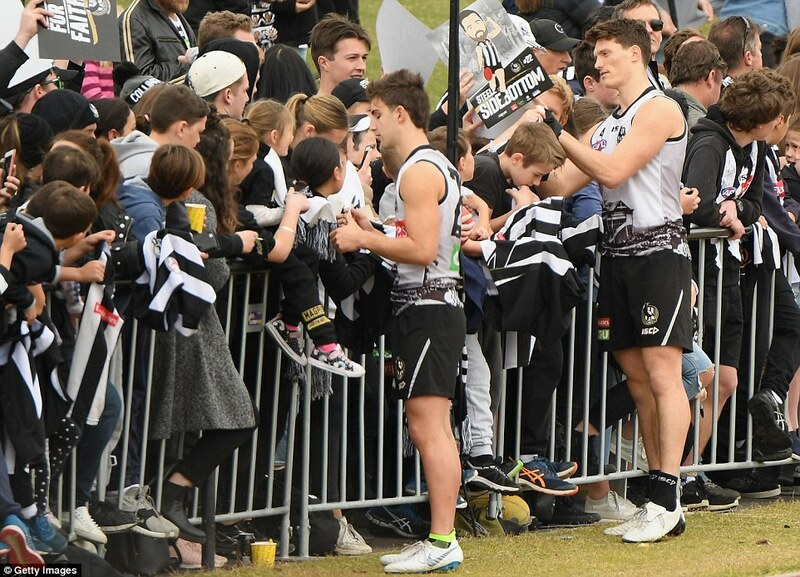 About 5000 people turned up at Collingwood headquarters to watch the team train on Tuesday. 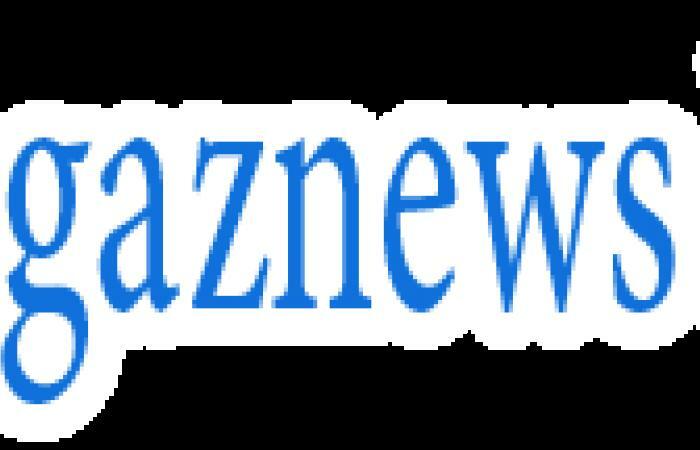 Collingwood ruckman Brodie Grundy said the rags-to-riches tales within his AFL club should win over the hearts of neutrals ahead of the grand final. 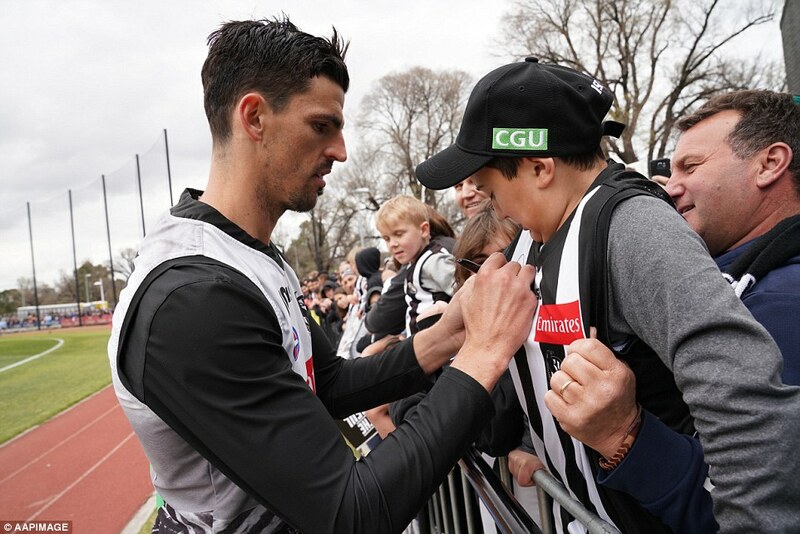 As fans ponder where their allegiances might lie in their clash with West Coast, Grundy has put forward a compelling case for the Magpies. 'There are so many stories, it just depends where you want to look,' Grundy said. 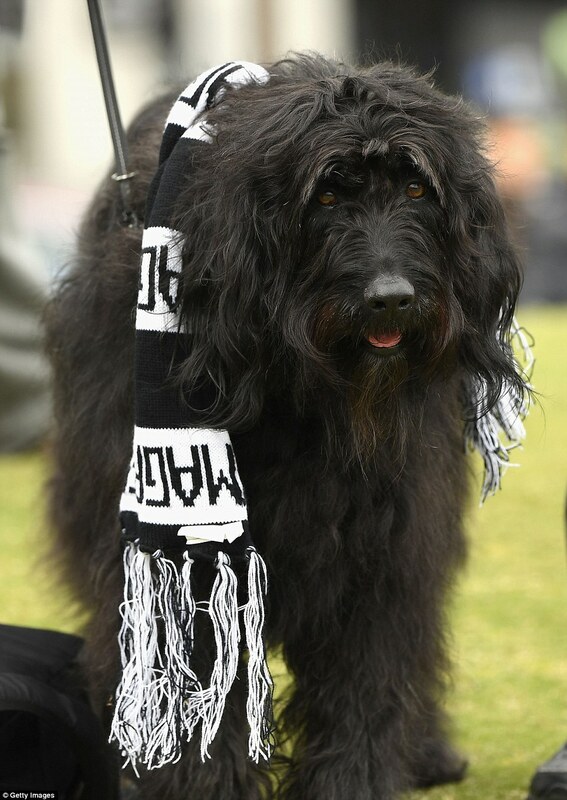 'Tyson (Goldsack). Adam Treloar. Travis Varcoe - what he's gone through. 'The story of the footy club itself. 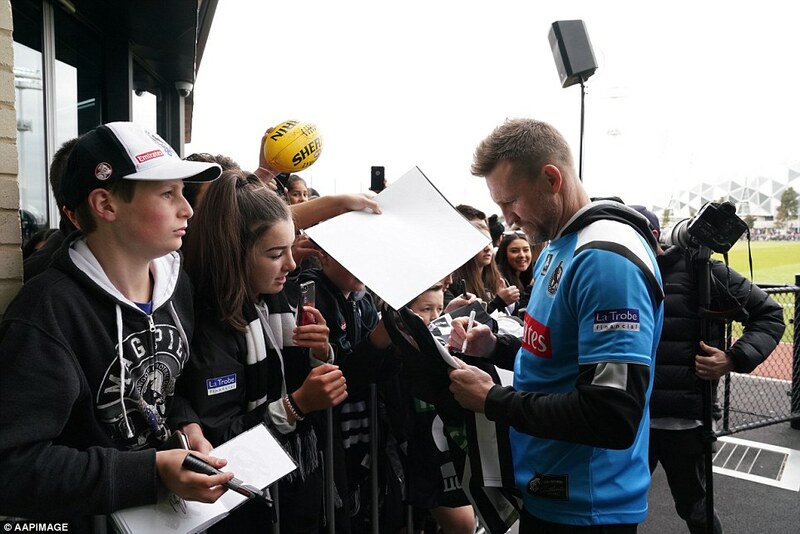 Nathan Buckley and the scrutiny he was under. 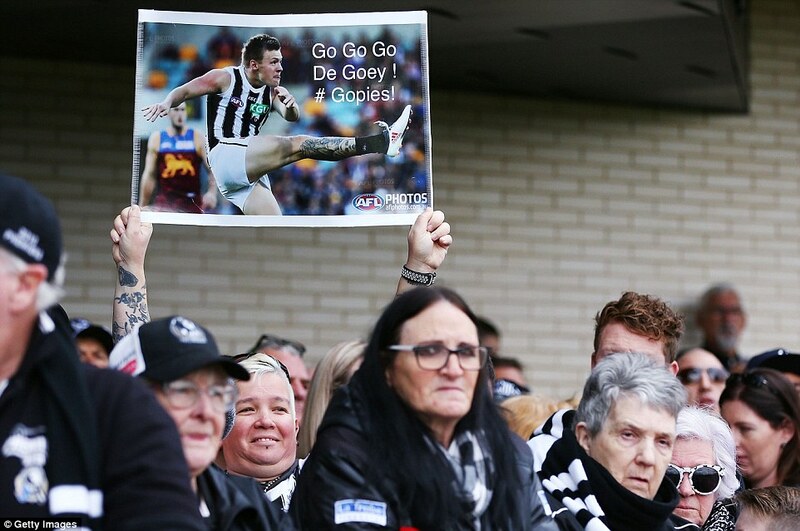 'Steele Sidebottom. The year that he's had. Goldsack suffered an anterior cruciate ligament rupture in March, an injury that usually comes with a 10-12 month layoff.